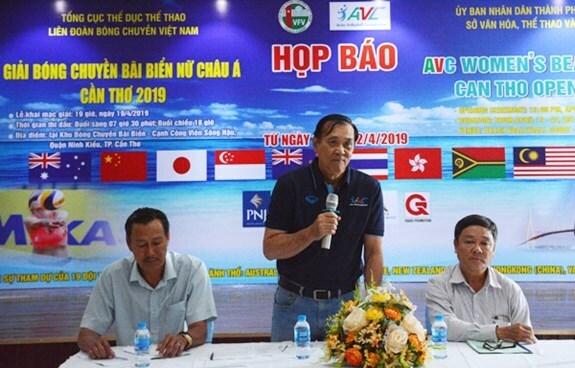 Can Tho (VNA) – Nineteen teams from 10 countries and territories will compete in the fourth Asian Volleyball Confederation (AVC) Women’s Beach Volleyball Tour 2019, which will take place in the Mekong Delta city of Can Tho from April 19-24, according to the organising board. Vietnam will send three teams to the competition, which also draws teams from Australia, China, Japan, Singapore, New Zealand, Thailand, Malaysia, Hong Kong (China), and Vanuatu. The event is not only a chance for the Vietnamese teams to prove their skills, but also an opportunity to promote the images of Vietnam and its people as well as Can Tho city. Nguyen Hoang Son, Vice President of the Vietnam Volleyball Federation, said that the tournament, along with two others already held in other countries, will choose four leading teams to compete in the upcoming Beach Volleyball World Championship in Germany.